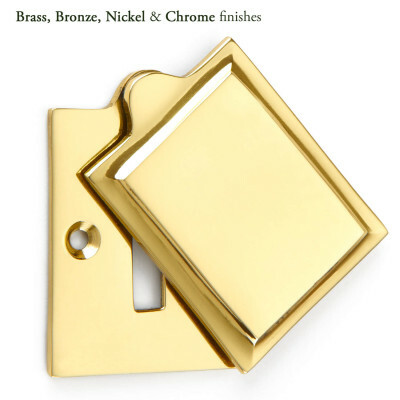 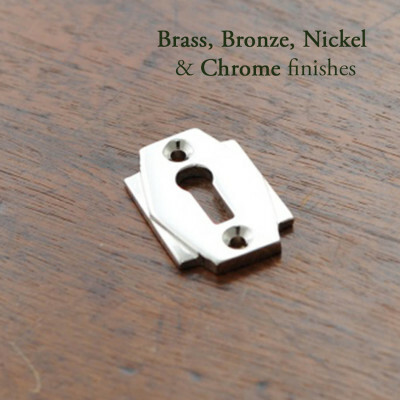 An Escutcheon is another name for a ‘keyhole cover’ and our Escutcheons are made to complement the rest of door hardware we sell. 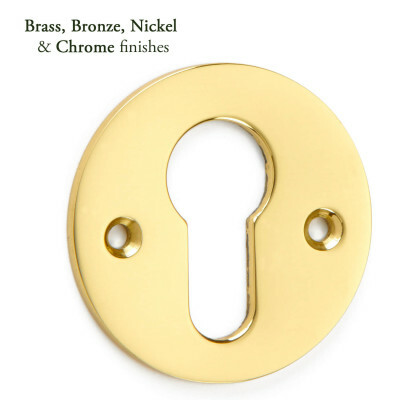 Basically there are two types of escutcheons ‘covered’ and ‘open’ which is self-explanatory but I will just give a brief explanation , ‘Covered’ escutcheons have a plate covering the key hole when the key is taken out of the door and swivels open to allow the key to be put back into the door. 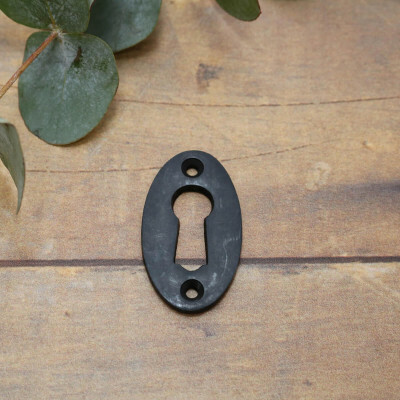 The plate is normally fixed to the backplate using a small screw. 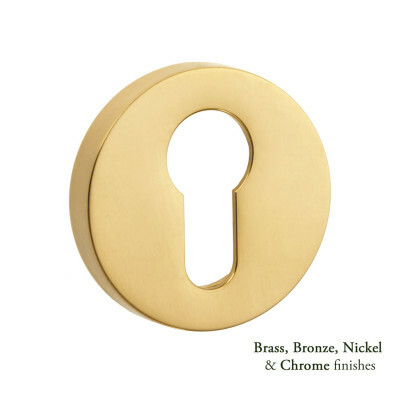 The ‘Open’ escutcheon doesn’t have a plate covering the key hole. 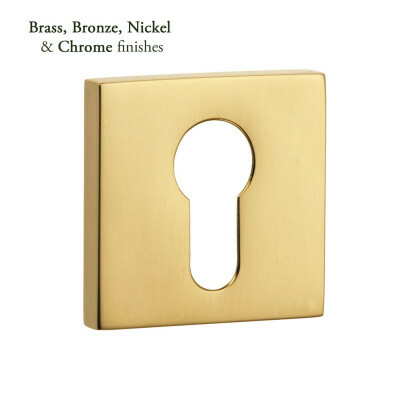 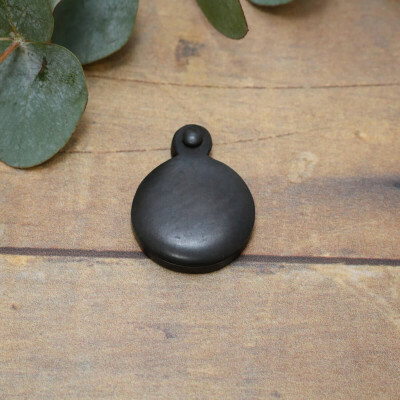 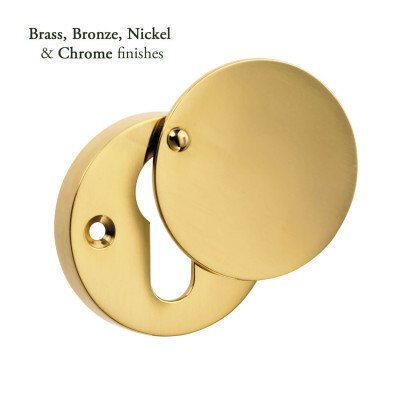 Examples of the two are Bronze Round Covered Escutcheon and our Bronze Round Open Escutcheon both are also available in Pewter and with a Black finish. 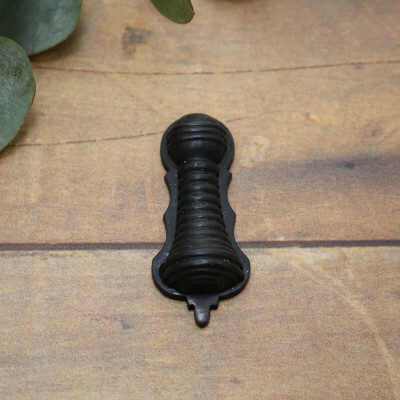 Both covered and open escutcheons can be used on any door in the house but it would be advisable to use a covered one on an external door to prevent any draughts. 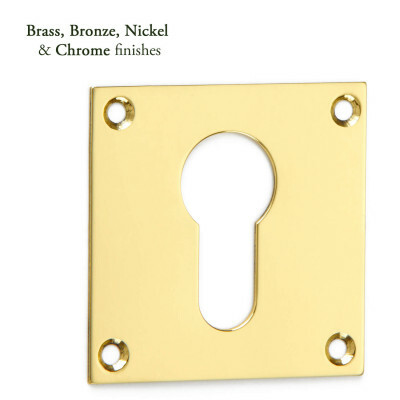 *Tip for fitting an escutcheon. 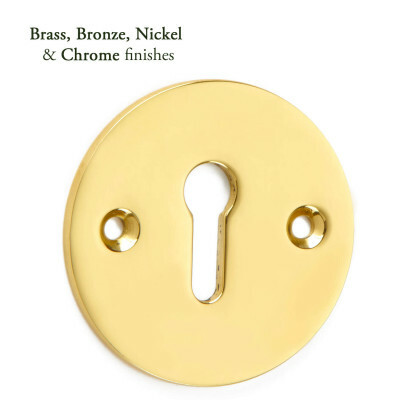 Put the key through the escutcheon before it is fixed to the door and then put the key in the key hole, now you can position the escutcheon against the door and make sure the key will turn before the escutcheon is fixed. 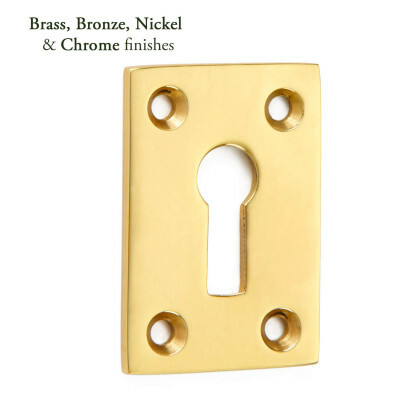 Now mark the screw holes with a pencil, take the key out of the door and using a small drill bit, drill a shallow hole where the pencil marks are, now fix the escutcheon.